Saturday 29 and Sunday 30 September 2018 Irish rockers U2 will perform at Royal Arena in Copenhagen during their U2 eXPERIENCE + iNNOCENCE Tour 2018. 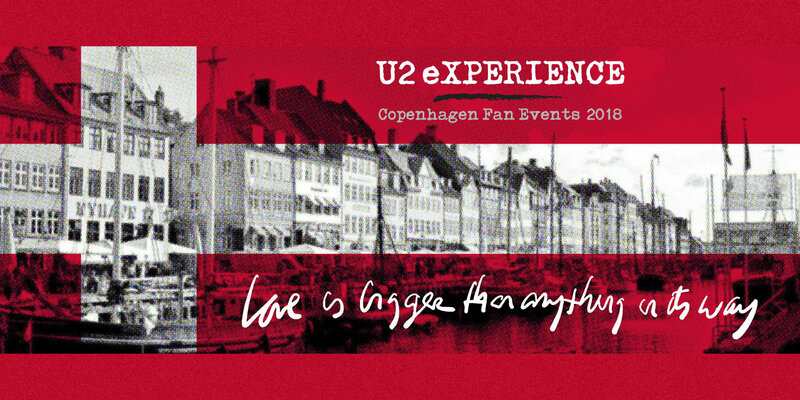 The two shows are their only concerts in Scandinavia on this tour, and thus the Danish U2 fan community wishes to welcome everyone from near and far who will be in Copenhagen that weekend. Meeting place: [NEW VENUE]: The Dubliner, with special appearances on all three days by Scottish U2-inspired band December and Dutch U2 tribute band Mount Temple. Concert times are still to be confirmed, but there will be gigs Friday night, Saturday night after the U2 concert, and Sunday afternoon before the U2 concert.